It’s (sort of) morning and you need some fuel to start your weekend right. There’s just something to be said for a good breakfast taco. Load yours up with mouth-watering chorizo or grab the José Special (eggs, mushrooms, spinach, and beef if you’re not going for the veggie option). Then again there’s always a brisket scramble, the Ranchero Diver, or “Joni’s Dancing Goats” maple yogurt drink with some fresh fruit salad. Really, there’s no wrong choice. Especially when you pair your meal with a good Bloody Maria. Or a blood orange mimosa. Or frozen sangria. Again, no wrong choice here. 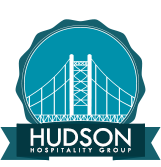 For more information on Peekskill and its restaurants, visitwww.hudsonhospitalitygroup.com or gopeekskill.com. The name of Taco Dive Bar, a Peekskill newcomer, suggests an emphasis on drinks, and they are good. The house margaritas are strong and tasty, made with 100 percent agave tequila, a touch of agave syrup and fresh lime, and the tequila-rich bar offers a full menu of reposados and añejos, both varieties of aged tequila, as well as the usual fare. But “dive bar” is more of a playful wink than a reality. Louie Lanza, the chef and owner, puts the same focus on quality and flavor into his food that he does into his drinks. The tacos, and the rest of the menu, are reason enough to seek out the restaurant. The shrimp taco, flavored with a corn and red pepper tartar sauce. The tacos aren’t the supersized meals-in-themselves you’ll get at some places; take several bites and they’re gone. But the subtle white corn flavor of the shell, and the fresh, bright tastes will stay with you. The ground beef taco, made with a sprinkling of queso blanco, some shredded romaine and splash of pico de gallo, is delicious. Pickled vegetables offer a sharp, welcome contrast to the hearty, tender meat in the smoked brisket taco. 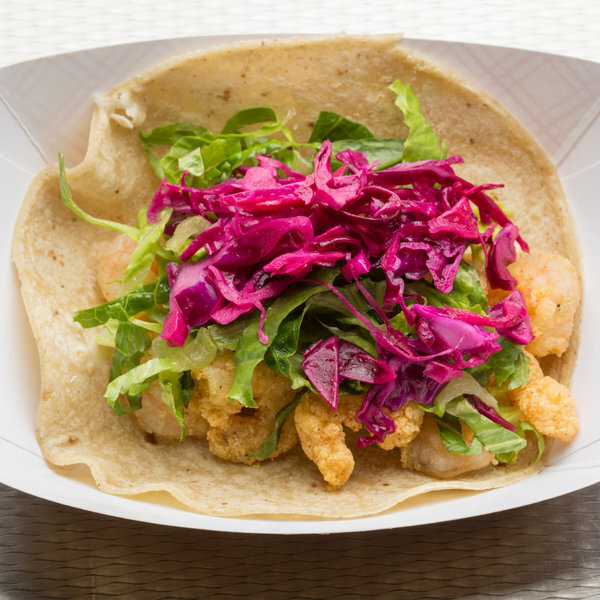 And the fried shrimp taco is full of wild shrimp, flavored with a creamy corn and red pepper tartar sauce. Some tacos miss the mark, including the dull citrus chicken and the dried-out barbecue pork. But there are plenty more to choose from. The kitchen offers its taco fillings in a bowl over steamed Japanese sticky rice, and the smoked seared pork belly was especially good this way. Made with a maple balsamic glaze that brought out the sweetness in the meat, some shredded romaine, tomato and a dollop of guacamole, the $5 dish was big enough for a full meal. Taco fillings are also available over greens. Or you could just order several of the tasty appetizers. There is an excellent plate of four dips: guacamole, pico de gallo, warm bean and cheese and, my favorite, goat cheese topped with jalapeño red pepper jelly — a delightful combination of spicy and sweet, warm and cool. The accompanying chips are fried daily in-house. The house margarita, made with agave tequila, agave syrup and fresh lime. The chili con carne is just the right thickness and made with both ground beef and brisket. Chicken wings are crispy and meaty with a maple-spiked hot glaze and a nice light ranch dip. And the salads are tasty, dressed in a hibiscus-infused cider vinaigrette. Mr. Lanza sources many of his ingredients from his own and nearby farms, as well as from favorite vendors he has cultivated. (All of his spices are organic and come from California.) Lanza Farms goat cheese is especially sweet and light. Taco Dive Bar doesn’t offer dessert; instead the menu and servers direct you next door to the Hudson Creamery for ice cream and baked goods. Hudson Creamery is a fun place but it pulls you out of one of Dive Bar’s best assets: its atmosphere. It is rare to find such a diverse crowd in Westchester County. One night a group of teens sat at one table, a senior couple on one side of them and four middle-aged singles on the other. There is a racial and ethnic mix that is both unusual and welcoming. This is how it should always be, I felt on each visit. I think the mix comes together because of the relaxed vibe of the place, but it must also have something to do with the combination of tastes on the menu. On Saturdays and Sundays there are brunch offerings, including a hearty breakfast burrito with scrambled eggs, chorizo and jalapeño Monterey Jack. The Ranchero Diver layers soft tortillas with bean purée and fried eggs. But the pièce de résistance is the José Special: scrambled eggs with grass-fed beef, portobello mushrooms and spinach over a griddled tortilla. Tasting one as I looked through the restaurant’s big windows at the Hudson River and the hills beyond was the kind of calming, delicious start to the day I wish I had more often. The Space: A funky, casual spot with big windows overlooking a park and the Hudson River and hills beyond, cater-corner to the train station. The restaurant has the usual TV screens, but this is a place where people actually look at each other. There are about 42 seats in the main space, and an overflow room with 50 more. Wheelchair accessible. The Crowd: Diverse in age, race, ethnicity. 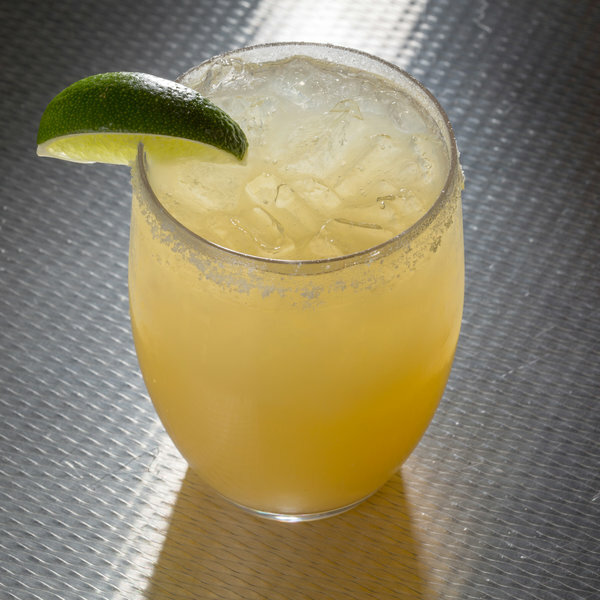 The Bar: The house margarita is worth ordering, made with 100 percent blue agave tequila, a touch of agave syrup and fresh lime ($10 frozen or regular). There are plenty of other cocktails ($6 to $11), a half-dozen drafts ($5.50 to $7), 20 or more bottled and canned beers ($4 to $6) and a healthy menu of regular tequilas ($8 to $28), reposados ($10 to $14) and añejos ($11 to $40). The Bill: Tacos are $4 to $5 each; taco filling over rice or salad is $7 to $9; brunch entrees are $5 to $11. What We Liked: The four-dip platter with chips (guacamole, pico de gallo, goat cheese with jalapeño red pepper, warm bean and cheese), chicken wings, local greens with goat cheese, chili con carne, fried calamari; pork belly rice bowl, beef taco, brisket taco, fried shrimp taco, breakfast burrito. If You Go: Kitchen open Wednesdays and Thursdays, 4 p.m. to 10 p.m.; Fridays, 4 p.m. to 11 p.m.; Saturdays, 11 a.m. to 11 p.m., Sundays 11 a.m. to 9 p.m. Reservations accepted for five or more. Metered parking on street. From the team that brought live music and Asian/Mexican/Southern fusion food to Peekskill via the Hudson Room, comes a fun new taco joint. Enjoy a wide selection of organic and GMO-free tacos in the trendy restaurant or on the outdoor patio (where the horns won’t let you forget how close to the train you are). From the train to guac in just a few minutes—that’s hard to beat. Check out the newest taco spot only steps away from the Peekskill train station. 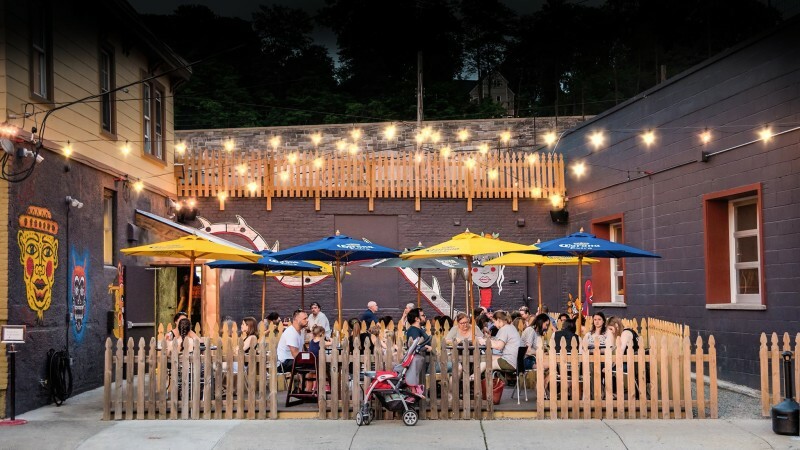 Located steps from the train station, Peekskill’s latest restaurant, Taco Dive Bar, serves a variety of organic and GMO-free tacos (e.g., Margarita-marinated chicken, black Angus brisket, portabella with goat feta) as well as apps like salads and tortilla chips with dip. 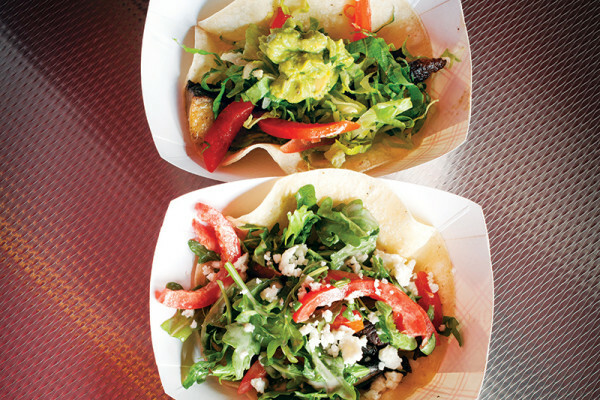 Taco Dive Bar comes from the owner of nearby restaurant The Hudson Room. Chef/owner Louie Lanza owned restaurants in New York City before getting into the restaurant business in Peekskill. Some of the ingredients used at Taco Dive Bar come from Lanza’s own farm (e.g., Lanza Farms goat cheese).